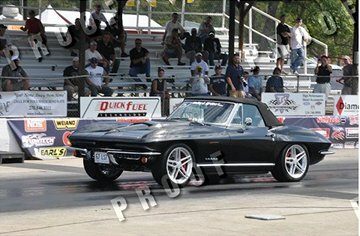 Here is a pic of my 10.8 ET 131 mph run on street tires at LS Fest last weekend!! I am ordering this print in a 20 X 30 for the man cave!! Thanks goes out to Rockland Standard Gear, Katech, J2 Race Engines, BAER brakes and VA Speed for great support and products!! !